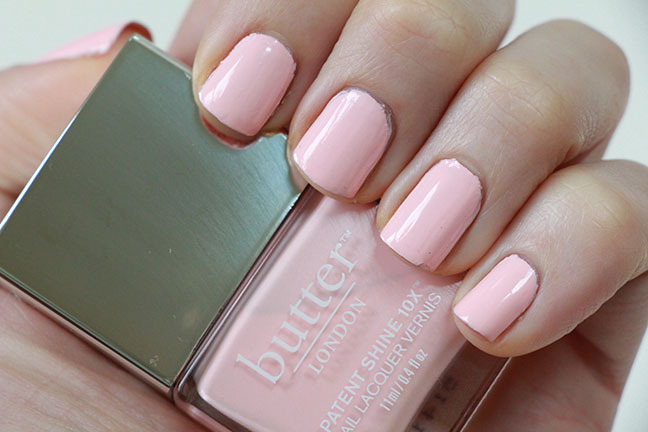 “Pink Knickers” is a very pigmented baby pastel pink. I really love this shade! Perhaps even better though is the formula! This polish is so pigmented from the first rush stroke. 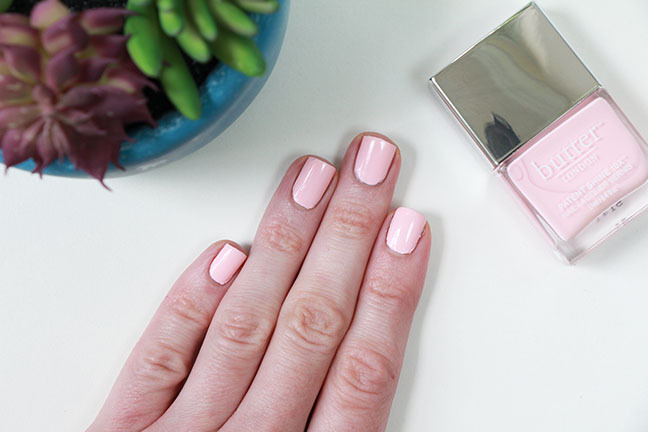 It does require 2 coats, but from the start you get intense color payoff that actually is as potent as it looks in the bottle! That pretty much never happens with a baby pastel pink! Most polishes – maybe all polishes – I have in similar tones are usually 3 coat minimums and are a nightmare to work with. Not so with the Patent Shines! As I’ve said, “Pink Knickers” is intensely pigmented and pretty damn opaque. It’s not streaky or patchy, though it does require 2 coats for complete even coverage. In addition, it also actually dries with a beautiful shine as well! 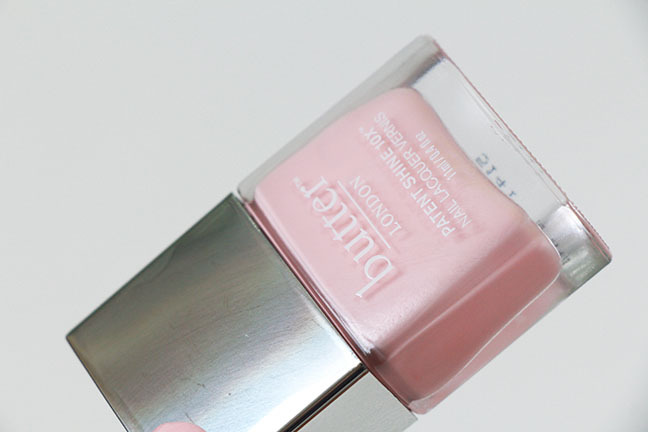 It claims to do so, but most polishes with shine claims rarely look any different than a standard polish. These polishes live up to their shiny claims! I do have a top coat over it, but it was really just to quicken the drying time, not for added shine.